Learning to build your own one-piece longbow is a journey into yesteryear that many bow enthusiasts have often dreamed about. 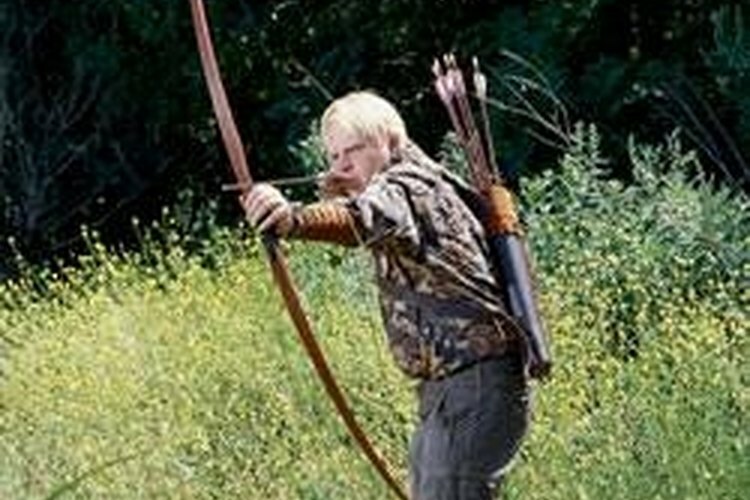 Longbows have a special place in history, beginning as self-bows made by Native Americans, as their first "advanced weaponry" and being the weapon of choice for many medieval empires. Lay out your longbow design on the bow blank. Most longbows are at least 65 inches tip to top and begin as 1.5 inches wide at the handle, tapering to 0.5 inches at each tip. Rough out the bow shape with a band-saw, then fine tune the look of your bow using the rasp and drawknife. Work your handle out to fit your hand using the rasp and sandpaper. You can also cut out an arrow shelf at this point if you like. Tiller the bow by floor tillering. Place the tip of each limb on the ground and slowly bending the bow to examine it for evenness. Once you have floor tillered each limb, string the bow. Slowly draw the bow back inch by inch and checking the evenness of the tiller. If there are any uneven spots in the tiller, work them out by removing wood with the rasp. Sand the tillered bow smooth by applying 3-4 coats of polyurethane, letting it cure at least 8 hours between applications, and fit a leather handle and arrow rest on it. String it up and it is ready for use. Take the tillering process slow and steady. This is the most tedious task of bow making, but also the most important. Wear safety glasses while tillering the bow, as it can explode and throw shards of wood everywhere.